The SUPER Pawn Shop Find 1999 Epiphone Korina Explorer Review! 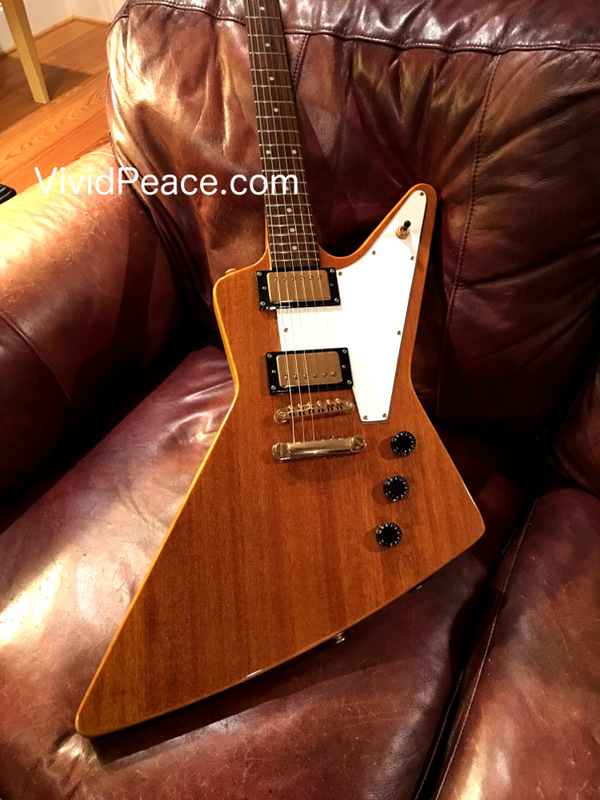 The Epiphone Explorer 1999 Korina Natural Finish Review! I’ve been looking for an older Epiphone Korina Explorer (natural finish, as opposed to ebony) for quite some time. I wanted the old generic tulip/keystone tuners, the “sandwich” body, the excellent medium-output “Epiphone” engraved gold-cover humbuckers, and a simple rosewood fingerboard. I found one the other day on one of the main Internet used guitar sites at a price that was very attractive. It looked like it had hardly been played! 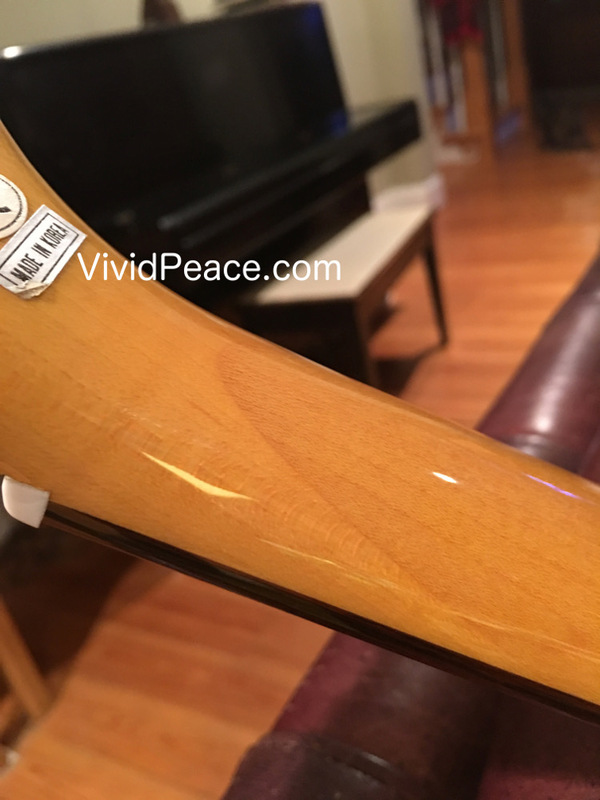 There were no chunks worn out of the first 7 frets from barre-chord hard strumming – as a matter of fact, they looked unplayed, still tall and rounded on the top. The sandwich wood is three-piece with one particularly nice-sized piece in the upper half of the body. The coloring and dyes used are very consistent and have that lovely “Old Gibson” golden yellow tint. Epiphone has re-released its Korina Explorer! It looks great and is a real bargain compared to the early Korean used ones. When I saw this 1999 model, I jumped on it VERY quickly because it was un-damaged, mostly un-played, and un-modified. I am truly pleased to have this example in my library. Pickups back detail of my 1999 Epiphone Korina Explorer. 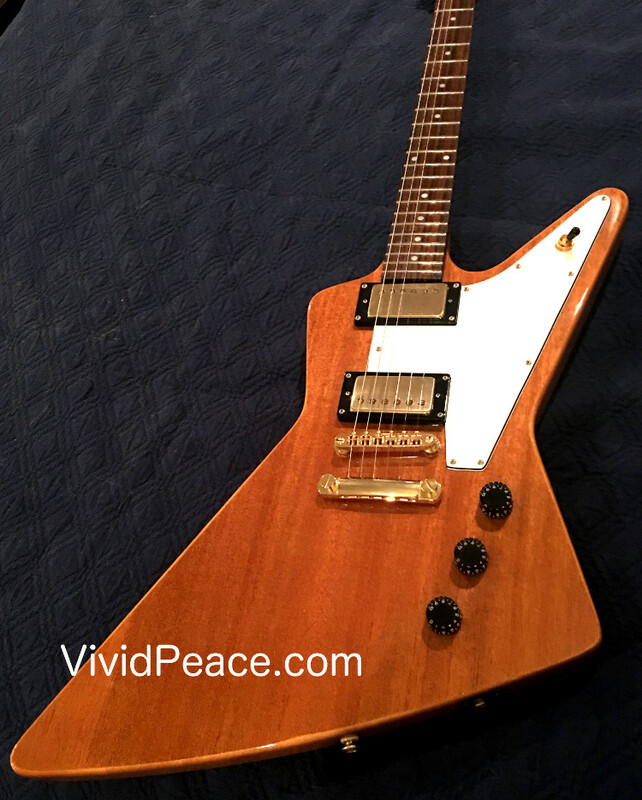 The 1999 Korean-made Epiphone Korina Explorer is a great guitar. Its features and sound are fantastic, and it’s always a sure bet when you’d like to put on an Explorer at a low cost. I’ve always found the Sandwich Epiphone Korina guitars (Firebird Studio, Explorer, SG, and Les Paul) to be a little funny to behold at first, as the front and back veneers always look so nice, with BRIGHT golden sides of much less dense and pretty Korina wood in the middle. Once you get past the visual edge between the veneer and the center wood, they’re really great instruments. The SG is the one that has the most striking veneer demarkation, as the veneer is only on the front-most part of the horns, with the cutaway being the sandwiched wood. C’est la vie. 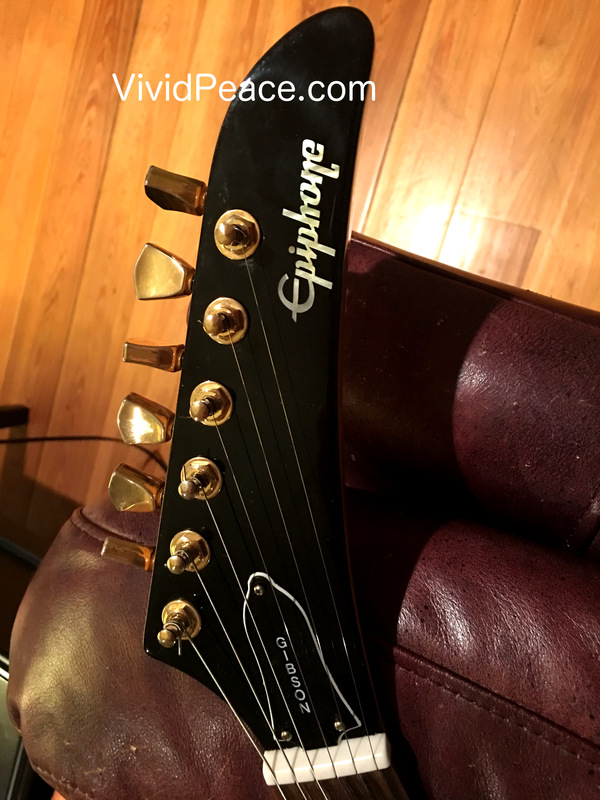 If you buy your Epiphone Korina Explorer through this link, I get a small amount of funding to help me run and maintain this FREE to the public guitar review site! Feature-wise, my Epiphone Korina Explorer is set up with pretty much a modern interpretation of the original Korina 1958 Explorer. Rosewood fretboard with dot inlays. Pickups front detail of my 1999 Epiphone Korina Explorer. * Great old Epiphone humbucker pickups – with the “Epiphone” engraved base plate, these are getting hard to find. Neck Scarf Joint detail of my 1999 Epiphone Korina Explorer. I love Gibson Explorers, Gibson Firebirds, and Gibson RD guitars. I like they way they feel, I like the full neck access, I like the way they look, and I like the way they sit on my leg when I’m seated and recording into the wee hours of the morning. Know that my review is written from that perspective. I did end up replacing my original 1999 tulip/keystone gold tuners with more accurate and much finer Hipshot Locking Gold Inline tuners with the control plate on the back – this didn’t mod the original guitar at all, and the down-tune slippage of the original tuners is no longer an issue. I saved, of course, all the original parts :-). Epiphone has re-released its Korina Explorer! Take a look at zZounds’ Love it and play it guarantee! 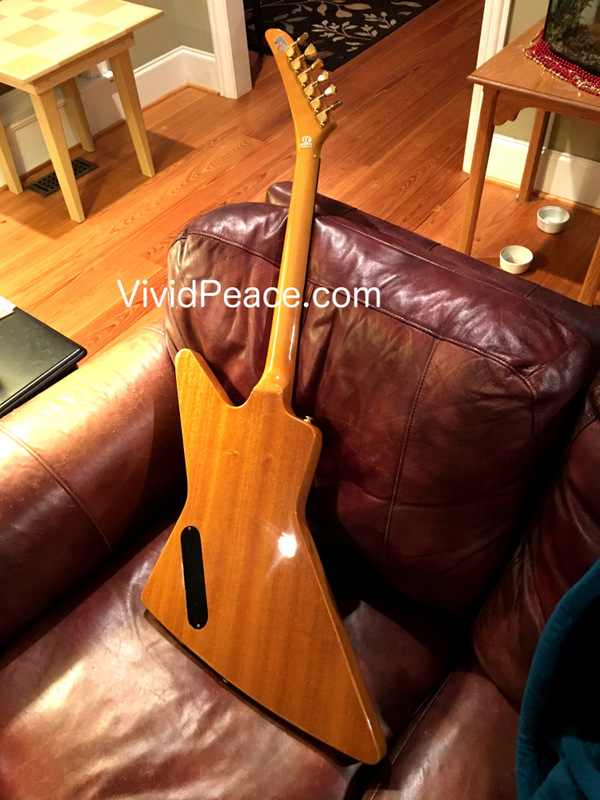 It sits easily when you play sitting down, and the entire neck is a breeze to play thanks to the basic design of Explorers in general. It feels pretty balanced in this case, partly because the body is lighter than the mahogany that’s used in my traditional Gibson Explorers. 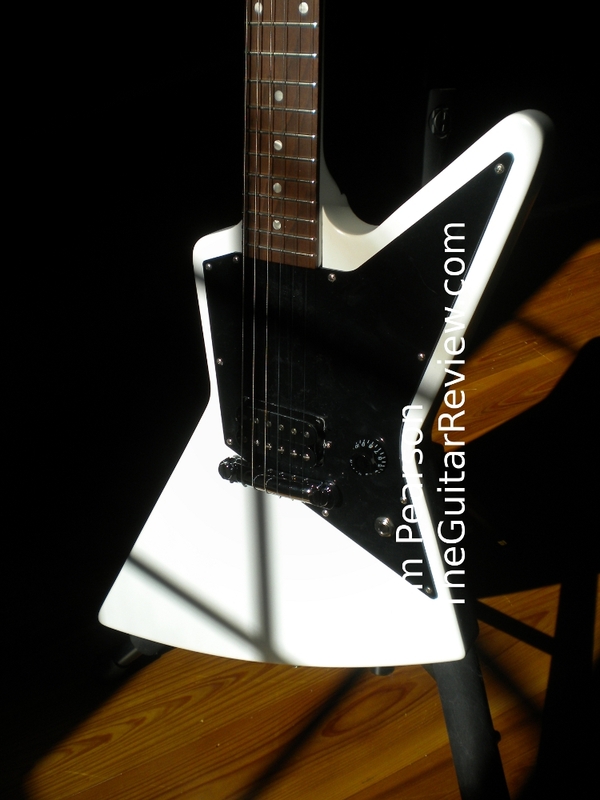 For the Explorer geeks out there, it’s about the same balance and feel as my Ash 2003 Gibson Explorer Pro. When standing and on-strap, it’s fairly light as Z-shaped guitars go. Not as heavy as a Les Paul, not nearly as light as an SG or a Fender Tele. It’s comfortable enough for a set or for an entire gig. Nice! The hard, close-grained rosewood fretboard has a neutral feel to it. The radius feels just about right, not quite as flat as a Fender Tele or Strat feels. It seems like a great piece of wood. It’s been on a neck hook for most of its 18 years of life (as of this writing), and the rosewood has held up fabulously. None of the frets are popped or sharpened, none of the feel of the neck is that cheap dry feel many older Asian-made guitars have. To its tribute, the rosewood was lovingly cured and prepared before it became a guitar fingerboard, and you can tell it. I gave it a light, quick coat of high-grade lemon oil and it actually didn’t look much different, but it felt a little more comfy on bends. Sound is an absolute tour-de-force on this guitar. Take any two-humbucker stoptail guitar on the market under $500 with no mods and play it after playing this old Epiphone Explorer, and you’ll mostly go back to the Explorer every time, given the choice. 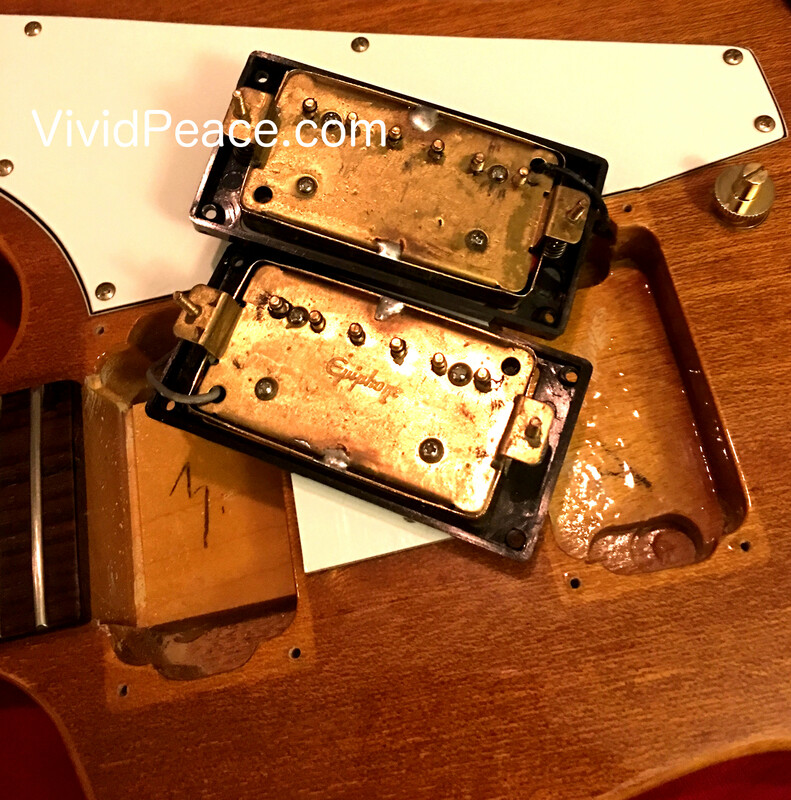 Bear in mind that these pickups aren’t the “Super Crunch” super-duper-high-output kind. That’s the domain of some active pickups and even the newer Super Ceramic Gibson pickups. These pickups are about TONE. Gobs and loads and bucketfuls of medium-output tone. If you want more crunch, add an overdrive and/or a distortion pedal. If you want clean, articulate sound, go with these older Epiphone-embossed covered humbuckers. On clean, no hot tubes, no pedals, the sound is simple and full-bodied. The bass-mid-treble balance is fairly equal, with just a tad off the top on the treble. 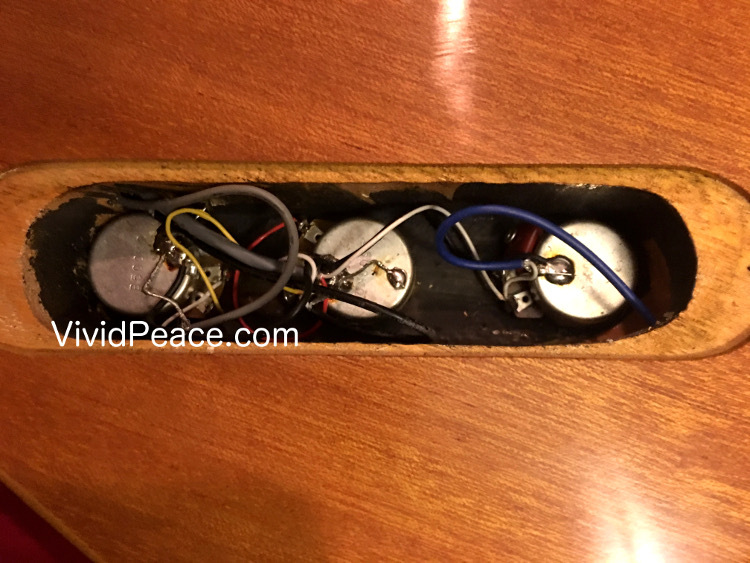 Once you put it through a good vacuum-tube preamp with something like 12AX7s, turn them up just enough to put some more volume and width in the sound: now you get major juicy sound that’s a benefit to old-rock and jazz leads. Push the tubes a bit so that when you dig in to the strings it growls a little and you’ve got classic rock. Push the tubes hard with this guitar and you get strong well-balanced leads and high-definition rhythm chords and rhythm arpeggios. Nicely done! Similarly, if you throw a bunch of pedals at it (say, chorus, reverb, overdrive, and a little fuzz) you get a swishy sizzler that is still articulated in the EQ range. This is more reminiscent of the mid-late 70s Tar Back pickups than the current super-duper Super Ceramic 500t/496R combo of recent Explorers. If you like versatility, the stock pickups are perfect. If you want super-sizzle and crunchfests, find a pair of Gibson USA 500t/496R uncovered pickups and you’ll have your face grinning in no time. I am not truly sure, but I wouldn’t be surprised if the new 2017 Epiphone Korina Explorer doesn’t last too long. The last couple of times they were available, they were not around for really long periods of time. 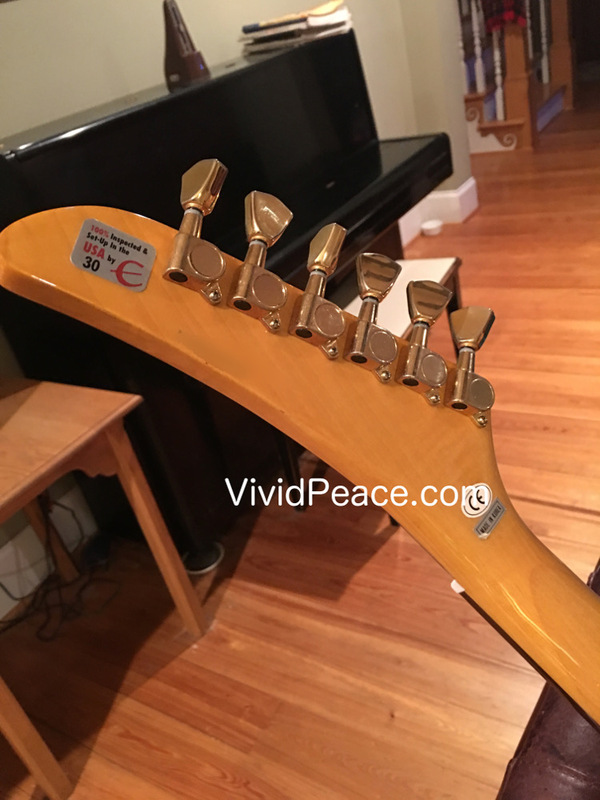 I think the only thing that caused me trouble about the sound is that the neck and nut were cut slightly too short… I could never get the intonation to be Jim-satisfactory. The plain strings all have a variance of about 8 cents sharp, even with the saddles pushed all the way to the rear of the bridge. Unfortunately, since these are metric/Asian-spec tails and bridges, studs and posts, the clever Schaller fine-tuning tail piece and the awesome Hipshot Tone-a-Matic bridge don’t fit this guitar. The only way to fix the guitar to its optimum intonation is to cut a nut (I like bone or fossilized bone) specifically for the specs of this individual guitar. I’ll probably do that in the near future. For now, I think, I’ll just practice with it tuned slightly flat on the plain strings and do a little on-the-fly intonation on most notes. With the exception of how Sandwich Epiphone bodies look when you first see them, the fit and finish is top notch. There is a hard gleam to the finish on all Korina and maple surfaces, the fretboard was laid in with a great deal of care, and the neck joint is fairly close to how its American-made cousins are put together. Comparing this individual to the modern, Chinese-made 1958 Explorer Epiphone reissue, the quality of the Korean guitar is awesome. The new ones are also nicely done, so you would have to play individuals to decide which one suits you and is put together in a way that pleases you. I’m an old guy, so I love the old pickups more than the hotter new ones, and I like the feel of the Korean neck vs the Chinese neck. I love this guitar in its new version, too. Although the new ones are made in China, it appears the fit and finish is pretty outstanding for the money! Snag one of these before they also go into the history books along with the 1999 Korina Epiphone Explorer. This has been out of production for quite some time, so I don’t want to really talk about what I would do different. That said, it would have been nice to not have a hollow plastic nut. The brand new series of 1958 Reissue Epiphone Korina Explorers (2016 year) is about as nice, but the pickups could be improved a bit… and I prefer the white pick guard (a personal thing, yes). I’ve just received my newest purchase, a 2016 natural color Gibson Explorer, Limited release by one seller as an exclusive (thus far). A new in-depth review is coming. For now, you can see my quick-and-dirty comment on the seller’s site (my purchase was verified by the seller). 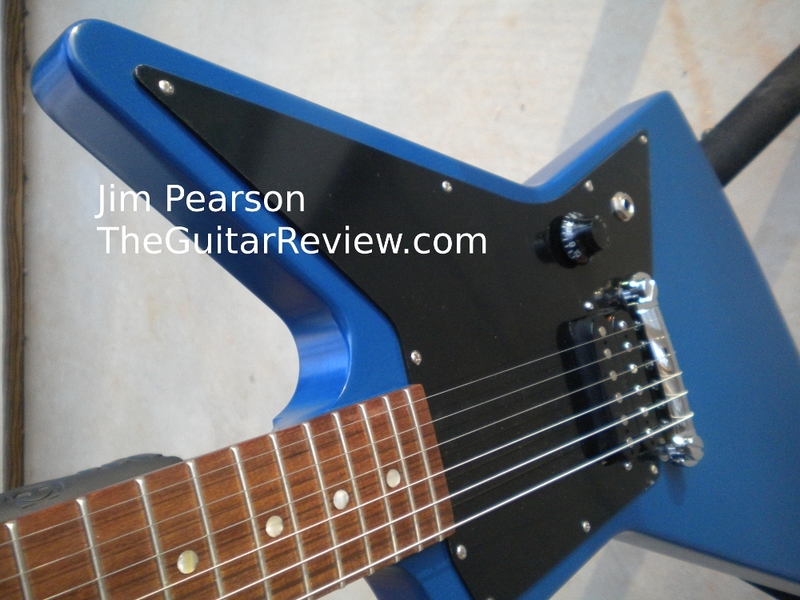 The Gibson Limited Run 2011 Melody Maker Explorer – a sampling over the past year… Verdict? Keeper! I am constantly on the prowl for interesting instruments to play, to record, to enjoy. 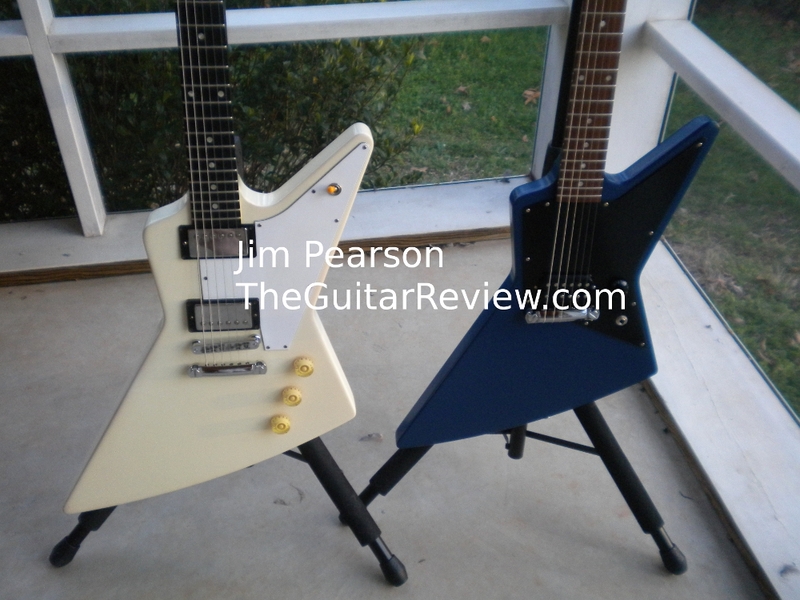 It is in my inner fibers, I guess… I really like the balance and the chunk of Explorer- and Firebird-shaped guitars. I’ve played tons of them, in many brands, in many configurations, of many ages. I don’t have a huge budget, so snagging $800+ guitars (used, $1400 new) on a several-times-a-year basis is not really feasible. Some of the Asian-made guitars are fun and nicely made, but they always leave me wanting… a cheap LTD ESP EX401 might play nicely, but it doesn’t make me want to pick it up and play it! Enter Gibson’s 2011 Limited Run guitars. Among these? A line of blue (yay! something other than cherry or walnut! ), white, and black Melody Makers in new configurations! SG, Les Paul, Explorer, and even a Flying V! These things are low-cost, American-made, come with a NICE gig bag, and sound amazing! 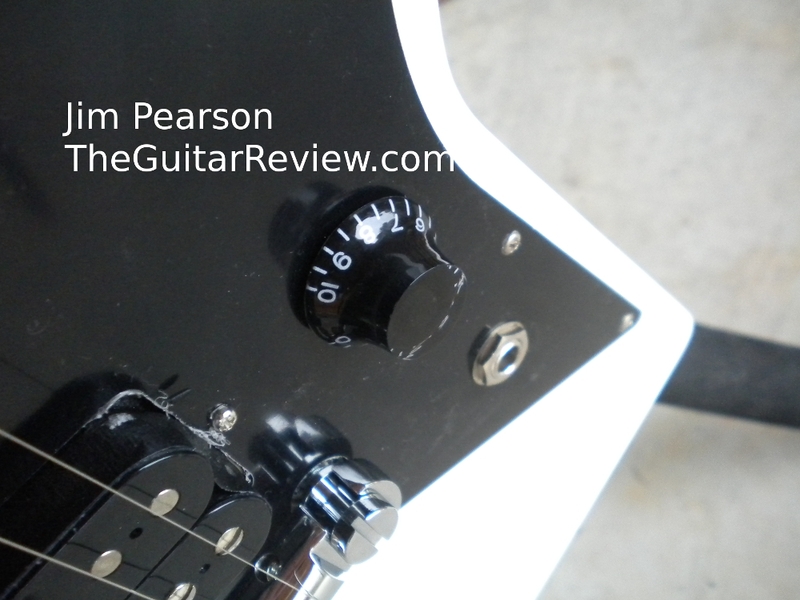 Quick Opinion: The Gibson Melody Maker Limited Run Explorer is a bargain. They sound like the growly stuff you expect from a USA Gibson Explorer, are easy on the shoulder (and say it again, wallet). They’re bone-simple to own, play, and enjoy. And, if you’re a Dr. Frankenstein like me, you can easily make wonderful concoctions with these at a low price. I’m always hesitant to mod a Gibson Standard (anything), other than a knob or maybe a careful pickup change. I think Gibson gets them right nearly every time. Even when I buy used Gibsons, I appreciate the way they’re made and how they’re configured. But, I will be me, after all. Modding Fenders is a blast. Modding a Gibson is fun, too! The Gibson Limited Run Melody Maker Explorer is a joy to play. They’re very affordable, and sound terrific. Hand made in the USA. What’s not to like? I love mine! The Gibson Melody Maker Explorer (and V and SG and Les Paul) Limited Run guitars may not be available by the time you read this, but you can see more about Gibson Melody Maker guitars here at zZounds. I truly like their “love your guitar” guarantee. Playability: Playability is one of the places the Melody Maker Explorer really shines. Turn the volume knob up, jack in, and play. Sounds zzounds! The neck is a cool Melody Maker variant. It’s not an LP neck (any vintage), it’s not an SG neck (any vintage), it’s not a Fender-y neck for the most part. What is it like? It’s a “C” shape for sure on the ones I’ve kept (they’re not all the same, I assure you). The neck is medium in every way. It’s a beginner’s guitar by its description – entry-level for folks who have a variety of capabilities, hand sizes, and such. It is narrower than my Firebird or my Les Paul Standard in most ways. It is thinner than my SG Special or my Firebird. 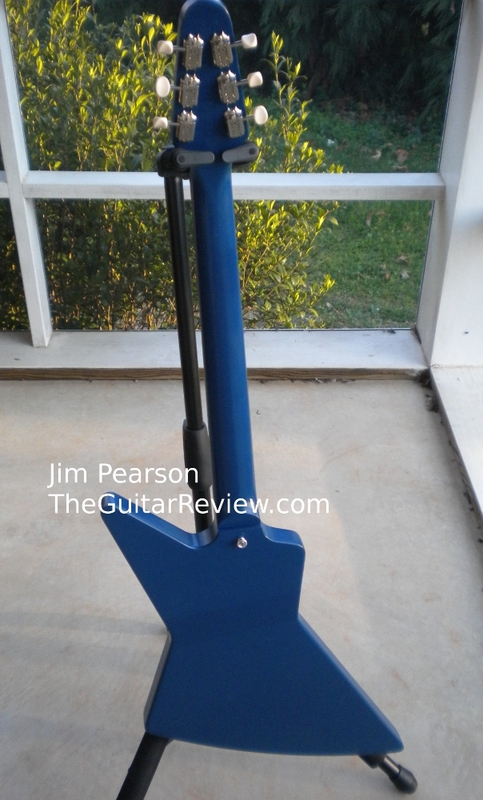 Similarly, it is somewhat reminiscent of a 60’s Les Paul neck, just smaller in two of the dimensions. It’s kind of like a wide, thinner Telecaster neck. It doesn’t feel like a broom handle or baseball bat. 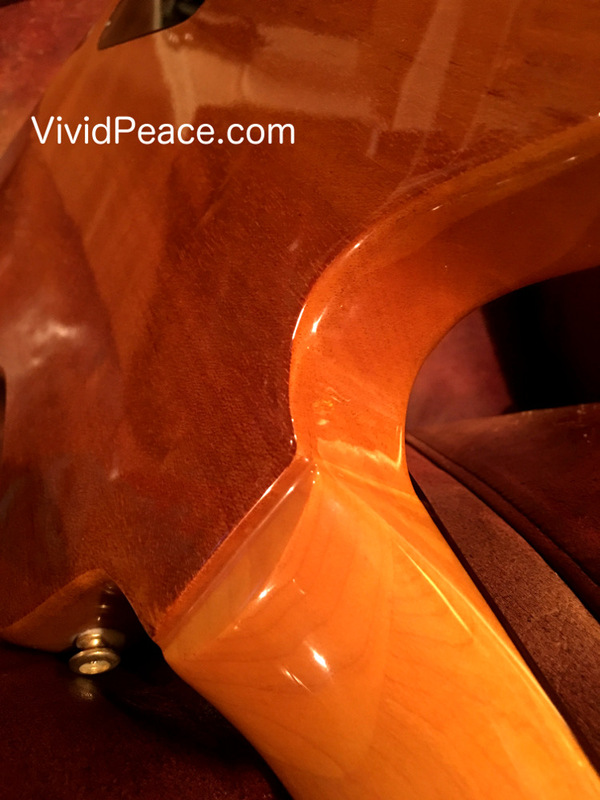 It’s nothing like a Gibson ES neck… As I said, the neck is a “Melody Maker” neck. Something like the 2007 Melody Maker reissue (one single coil in a narrow-bobbin format) I used to have. My MM Explorers are a joy to play. They’re lighter than their larger standard Gibson Explorer cousins – and about 1/5 smaller in most ways, too. They’re VERY easy on the shoulder and can be played for a long time. They’re easy on a strap, and mostly easy when you are sitting down. Here’s another difference between the MM Explorer and the “standard” Explorer: The MM likes to slide a bit on my knee and need occasional fidgeting to adjust it as I play it. Not really a big deal – but it happens… I do like the smaller top half of the body: my picking hand is all over the play area with NOTHING in the way. The fretting hand has access to everything. It’s like the body just isn’t in the way. I LOVE it. 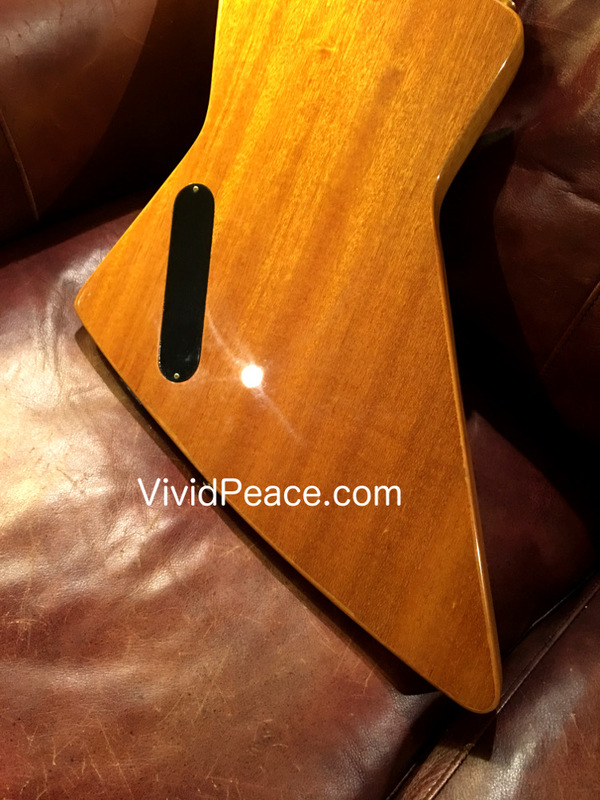 In general, I like Firebirds and Explorers – and one of the reasons is the small amount of body wood over the connection to the neck. And… the MM Explorer has less wood than the big cousins do. Here’s something that’s squirrelly about my Limited Run Melody Maker Explorers: even with a set of .010-.046 set of nickel or nickel-plate strings, the Explorer actually get’s tuning-crazy when I grip the neck/fretboard/strings with my hand with any strength. This guitar likes thicker strings! It’s a regular Gibby 24 3/4-scale neck with a 1 11/16 nut, but it just doesn’t feel substantial enough to handle a tight grip. By contrast, my (same year, similar construction) Limited Run Melody Maker SG in white does not play the same way. Seriously. I’m experimenting with Ernie Ball STHB (Skinny Top Heavy Bottom) strings… I’m TRYING to find some more Carlos Santana GHS Strings at .0105 for the high E, but have had no luck. I think they’re a perfect match for my MM Explorers. From the factory? The factory strings are bulk .010s and feel a little squeamish. We’ll see. If I have the time again someday, I’ll write a long-term review and talk about it some more. For a beginner, these guitars play VERY easily. My students love them when they’re starting out. Pickups and Electronics: These are the simplest Gibsons I’ve ever played. One simple potentiometer (pot) for volume, a little braided vintage-style push-back wire from the pot to the jack and another from the pot to the pickup. No capacitors, switches, or three miles of wire to interfere. Just. Plain. Simple. It pays off in droves on these guitars. Almost like taking the sound directly from the guitar into the amp in a “mainline.” The parts are good quality Gibson-usual stuff. Here’s a point of some contention on the internets and interwebs: What pickup comes in my Melody Maker? It turns out, in the real world, that it varies, really. And, it’s not consistent in each model of Melody Maker, either. 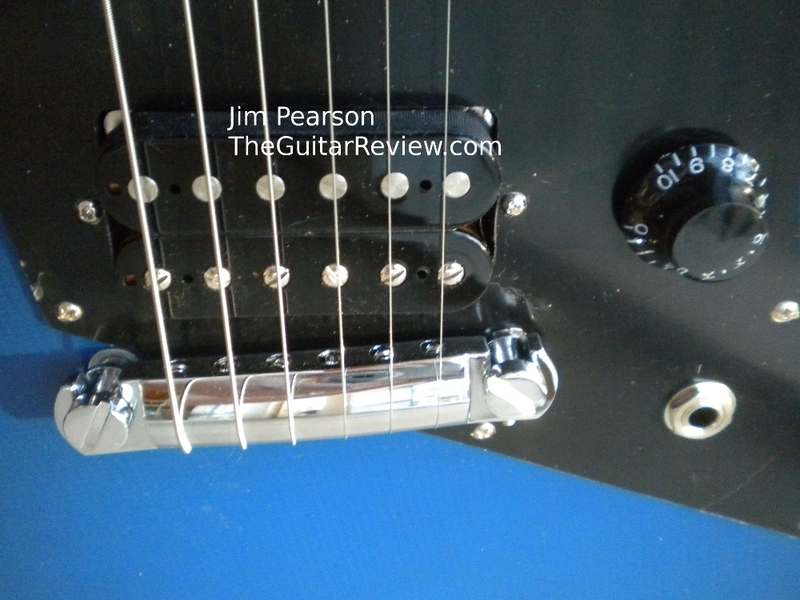 The sales sites and even some Gibson pages indicate that a Seymour Duncan “Duncan Designed” HB10x pickup is used in the Melody Maker Explorer and V. However, I’ve seen differently with my own two eyes and my own two paws. Like my Melody Maker SGs of this run, all three of the Melody Maker Explorers I’ve modded or opened have a Gibson 491T (ceramic magnet bridge pickup), just like the three Melody Maker SGs I’ve opened and modded. (BTW, I do have one Explorer that’s not modded… I liked it enough to keep it as-is). So, it depends on what day it was, and what was in the pickup bins when the guitars were made? I don’t know for sure, but I DO know that there are variances in what was actually used. 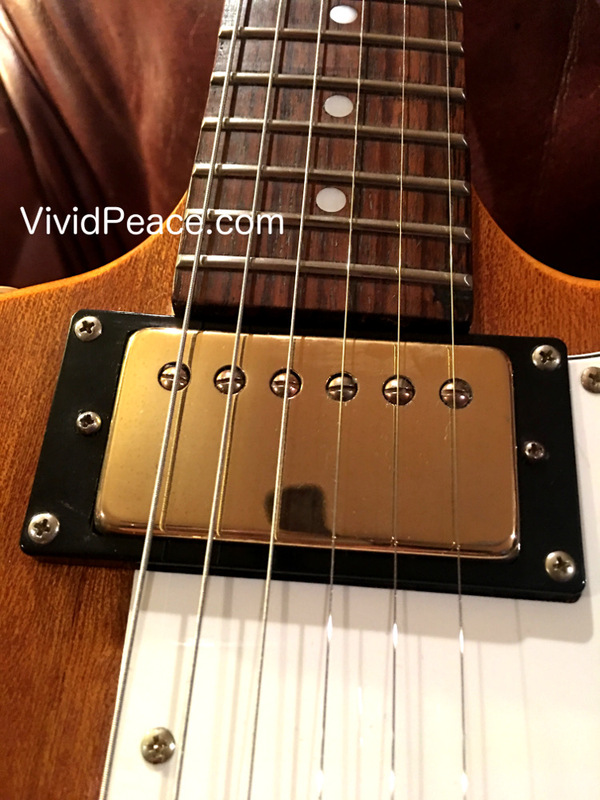 In EITHER case, the pickup – either the Seymour Duncan or the Gibson, sounds GREAT! 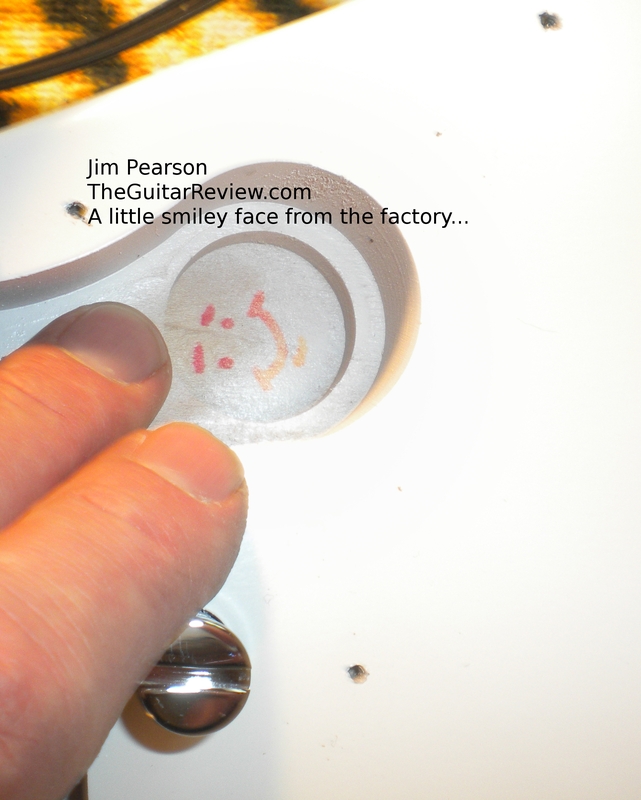 The pickup is more articulate than inexpensive humbuckers from other manufacturers. Period. It’s bright and snotty when you want it to be, and it can play almost clean when you lightly play. Overall, this pickup is designed to drive the tubes. It is not a Jazz or New Age pickup. It’s loud, proud, and in the cloud! One more note on the pickup: They sound hotter than a 490T to me… the 490T can clean up more, but the 491T can get the brown sound going MUCH easier! Tone woods: The Gibson Limited Run (yes, different from other MMs – for posterity’s sake, that’s why I keep calling them that) Explorer has an interesting set of woods. The neck is quarter-sawn mahogany glued-in with a mortise and tenon joint, the body is a resonant solid maple, and the fretboard is a “baked maple.” Since the guitar is coated with a somewhat thin coat of nitrocellulose lacquer, it breathes well and is VERY resonant. USA Made and Simple: Tone? Great tone sometimes comes from excellent craftsmanship of the finest, yet SIMPLEST things. These Melody Maker Explorers are no exception to that. REAL craftsmen/craftswomen made these in the USA – and did a great job making them sound great. The simplicity and selection of parts and the care of craftsmanship all speak volumes in the sound of these guitars. I’m sold. When are they making more? I never got to get a V or a Les Paul version with which to tinker. Quality: Other than a few foibles I’ve seen on the internet for other people’s Melody Maker Explorers (warped pickguards, errors in finish), I’ve had nothing but superb success with my Melody Maker Explorers. The quality is absolutely top-shelf. Seriously. These are FAR better than the $800 Epiphone ES-339 Ultras I tried to buy and play. The paint is consistent in thickness, evenness, and smoothness. These are thicker-applied lacquers than on my “faded” SG Special or the Faded Vintage Mahogany Les Pauls I’ve played. Overall, the paint is more perfect than its price-point demands. The plastics and metals are excellent in consistency. And, the general shape of the body and neck is consistent enough for everyday play. 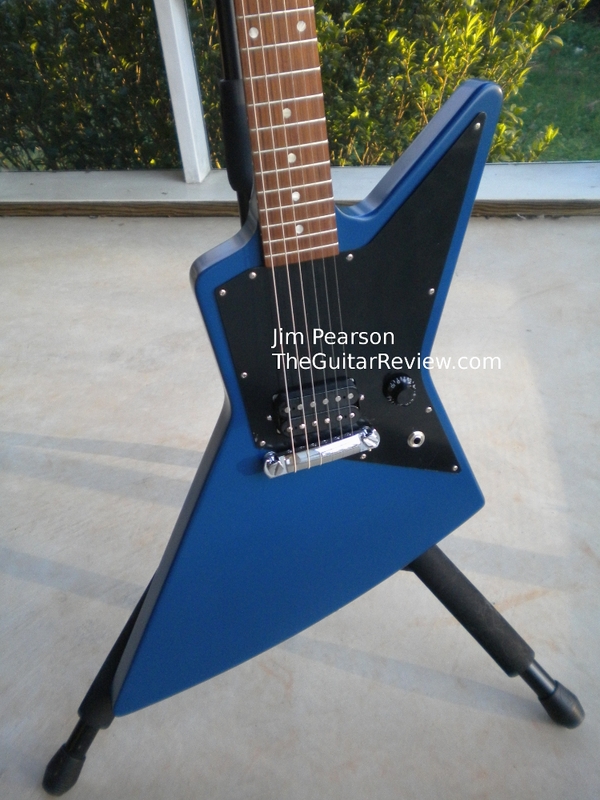 Value: Value is one of the strong points of a Limited Run Gibson Melody Maker Explorer. When they were introduced, they were just over $500. Later in their for-sale-new life, they’ve come to the low $400 range. I believe the guitars are worth the original price point (allowing for the occasional sale). The quality, the craftsmanship, the sound, the gig bag, and the USA-made-ness of these is well worth the money. These are far higher in quality than equally-priced low-end Asian explorer-type-body guitars. The sound is largely equal or better than those in its price point. When the price went way down at the end of the availability for the 2011 models, I could have blazed trying to get some money together to grab a few before they were gone. In the end, I did snag a couple, but to tell you the truth, these are a modder’s dream for those like me who can appreciate a simple quick change to a limitless number of new one-pickup sounds. Features: Simple. Features are not the point with a Melody Maker. Playability and price are the strongest points of a Melody Maker (and, methinks that’s the way it has been for a long time). 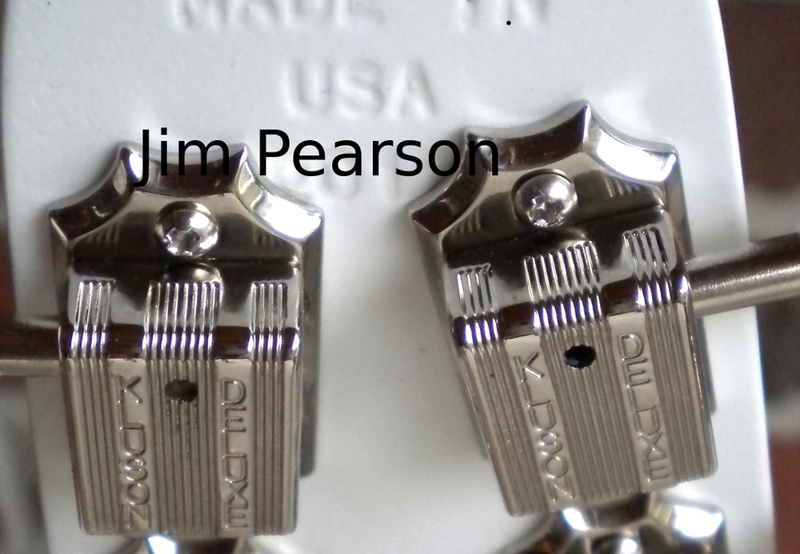 * One of my Melody Maker Explorers has genuine Kluson white-button Deluxe tuners. 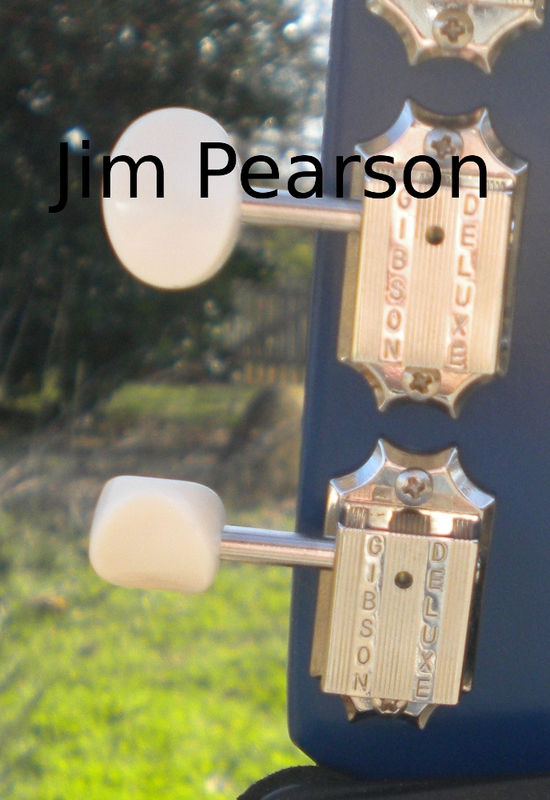 One of the others has Gibson Deluxe white button tuners. According to the Kluson folks, they’re not the same thing (or, at least they weren’t when I talked to a rep back in 2010). I think it is interesting that I’ve gotten variations on one or the other on the five different Limited Run MMs I’ve had/owned in the past year’s time. * As mentioned before, the pickups aren’t always what they seem. All of the Melody Makers I’ve opened have had Gibson USA 481T pickups and not Duncan Designed HB10x pickups. * I love Gibson: but the smoothed black top-hat knobs are HARD to grab when you’re trying to do volume swells or fast changes to volume. Really. I understand the tradition and vintage-y thing, but these smooth slippery top-hat guys don’t work easily on anything but Eddie VanHalen low-friction pots. The Gibson OEM pots don’t turn that easily when new… I almost always swap them out for knurled metal screw-bound knobs or Gibson speed knobs. * The gig bags are ABOVE PAR. Nicely-padded, attractive, and included in the price. Wishes: Not much to wish for on these, Gibson… However: Offer a two-pickup version (next time around) for a bit more? One thing that would have sold boatloads of these would have been to put banana headstocks on all of them (including the Les Paul). Maybe some consistency as to what pickups and parts were used? Oh, and one more wish: Gibson: let’s do a FIREBIRD Limited Edition Melody Maker guitar!!! I’d buy one or three or so if I could find the budget! Especially if it had a Firebird beak headstock or a banana headstock!